After we posted the previous blog, A Fast and Correct Base64 Codec, some readers expressed interest in getting more details about the comparison of various codecs’ performance. 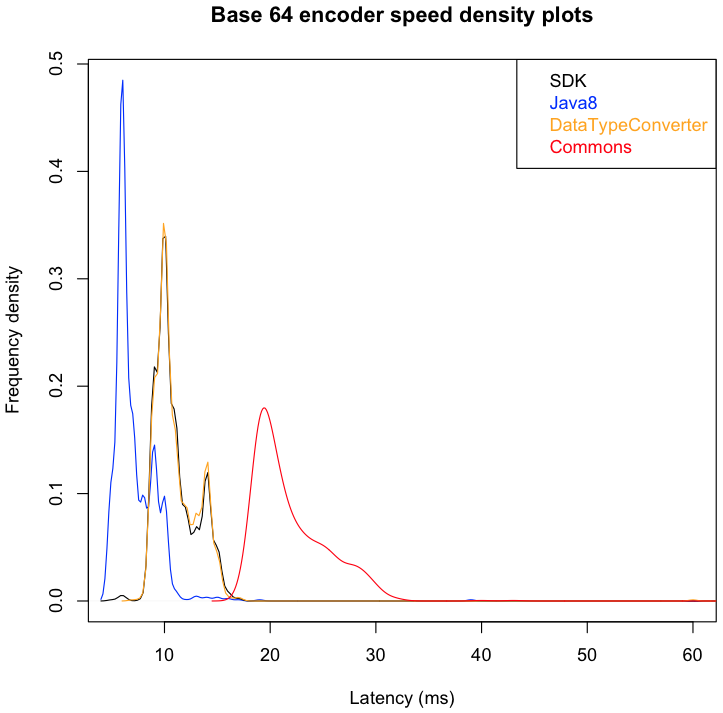 So this blog post is a quick follow-up with a side-by-side decode/encode performance comparison of various Base64 codec’s, including AWS SDK for Java, DataTypeConverter, Jakarta Commons Codec and Java 8. As you can see from the graph and statistics below, in terms of raw performance, the DataTypeConverter is the fastest in terms of Base64 decoding, whereas Java 8 is the clear winner in terms of Base64 encoding. 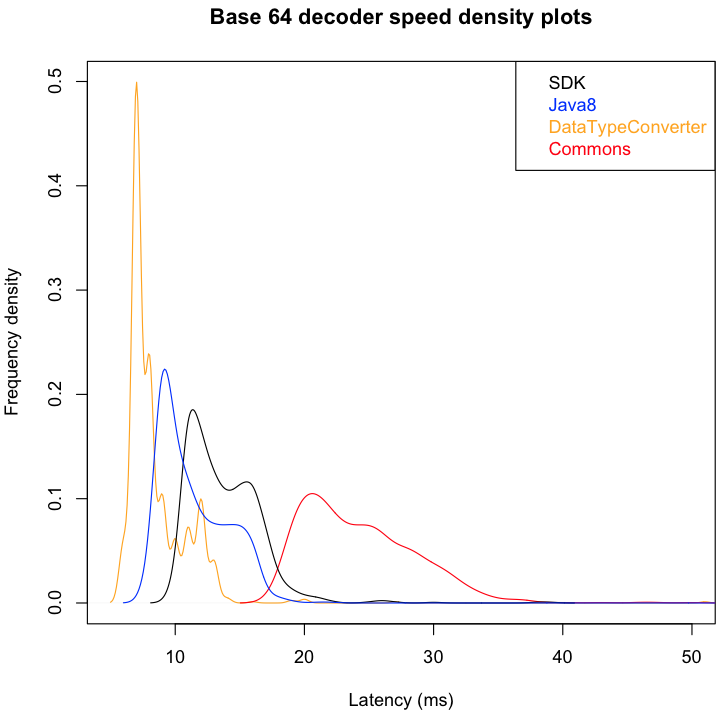 However, as explained in the previous blog, decoding speed is not the only factor in selecting the Base64 decoder for use in the AWS SDK for Java, but also security and correctness.